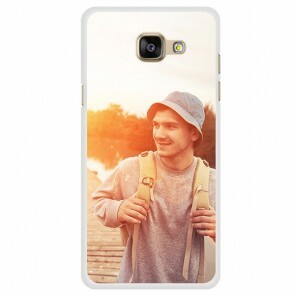 Designing your own Galaxy A3 2016 case with your own photo is exciting and only takes a few minutes. You do not have to be savvy with computers to do it, our customizer makes it easy and walks you through step by step. Upload your photo from your computer, Facebook, or Instagram and place it as you wish on the case. Submit the order and we will do the rest! A sturdy hard case is a very wise choice for those who want to protect their phone but keep the sleek appearance. Choose a silicone case for impact resistance if you drop your phone regularly. With YourCustomPhoneCase.com your smartphone will be protected in style! So what's stopping you? Get your custom Galaxy A3 2016 case now! Our cases also make the perfect personal gift for friends or family.